Short Term Trading forex trading links forex trading books market statistics trader values euro and us dollar Shocks Crashing Can Mario Save the Euro-zone? 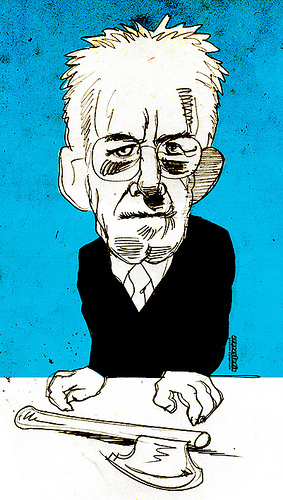 Mario Monti: A capable man. “I will be choosing my team and will write the political agenda”. Mario Monti is the new Italian Prime Minister. After years of bunga-bunga politics, Italy has appointed one of its most prestigious names. Monti is a former European commissioner, who understands Italian politics very well. He will lead a coalition of center-left parties. In effect, with Europe on the brink of collapsing, action must be taken quickly. The task is titanic, but is not impossible. Italians have the talent to score the winning goal during the last minute of the game. However, any delay will put pressure on the financial markets. The euro/usd could decline to 1.32 and eventually to 1.28. A swing above 1.4620 would instead lift price to 1.48/1.52. Monti would need the support of the majority of the Italian parliament. The risk of failure is still around the corner. Within Berlusconi’s party, many are asking for new elections to take place early next year. The reign is over, but Berlusconi’s influence on Italian affairs is still strong. He wants some of his men in key roles within the new coalition. Like a poker’s player, he expects the maximum result out of the last deal. He could instead be remembered as the one who gave the final push to the shaking world markets. Europe is still on probation. There is no more time for political games. Italy should be able to pay the interest of its debt. Its primary balance has shown a surplus of 1.5% of the G.D.P. on average over the past 15 years. Nonetheless, could find some challenge refinancing more than euro 300 billion of debt next year. So, Italy must implement the reforms as soon as possible. On Saturday, the budget bill was finally approved by the Italian Chamber of Deputies. Among other things, it includes rising the retirement age for both women and men to 65 years of age by 2026. The labour law has not been touched. The E.U. and the I.M.F. will closely monitor Italy. The E.C.B. will keep on intervening in the secondary market. A default is not an option. Bank exposure to Italy sovereign debt is almost euro 180 billion (20% of the total). The repercussion on the entire system will be enormous. It will probably mean the end of the Euro-zone. The euro 106 billion calculated by the European Banking Authority will not be enough to protect banks against sovereign defaults. In Europe, too many issues remain unresolved. Lucas Papademos, a former E.C.B vice-president and ex-governor of the bank of Greece, will lead a broad coalition in Greece. He has a “mission impossible” ahead of him. The haircut and the rescue package might not be enough to avoid a Greece’s default next year. European incertitude deepens the economic contraction. In September, both industrial production (-2.7% m/m) and manufacturing production (-4.3% m/m) fell in Germany. Domestic orders and economic activity are fading away. Another question: We ask if the Eurozone is governable, but is Italy? As an outside observer it sometimes seems Italy is more of the name of a region than a country with shares priorities. Historically it seems like a tough place to build consensus - the regional parties are as varied as India's! Italy was divided into small, independent states until 1861. Italians have a tight bond with family and community. They gather as a nation during difficult times. Well, that moment is now. Unfortunately, current electoral system (a multi party system) does not help. It will be changed.